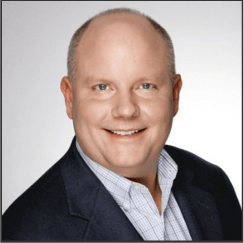 AAMCO welcomes new Chief Information Officer, Chad Graham. The AAMCO transmission franchise family proudly welcomes Chad Graham in his new role as Chief Information Officer for our parent company, American Driveline Systems. Chad will lead the charge in delivering high-impact technology and value to our brands’ service centers and franchisees. Chad brings more than 20 years of information technology experience to AAMCO franchisees. 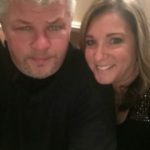 Before joining the company, Chad served as senior vice president of information technology at Refac Optical Group. During his tenure, he successfully completed a number of technology initiatives for its retail brands, including JCPenney Optical, BJs Optical, Meijer Optical, Sears Optical, Macy’s Optical, Hudson Bay Optical, and Nationwide Vision in Arizona. Previously, Chad served as director of information technology at National Data Corp., among other roles. Jim Gregory, Chief Financial Officer of American Driveline Systems, says Chad’s skill set will be a benefit to AAMCO franchisees and our parent company overall. 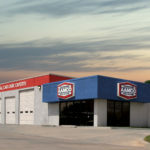 AAMCO’s locally owned and independent transmission franchise centers employ the latest technology, so that our expert technicians can diagnose a problem, make the right repair the first time, and back it with a nationwide warranty. 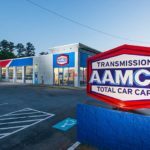 Known as the world’s leading transmission expert, AAMCO has evolved into a total car care brand providing a variety of services, including brake repairs, tune-ups, shocks and struts, routine maintenance and more, and was recently named to Entrepreneur’s 2015 Franchise 500®. Ranking at the top of the transmission repair category based on system size, growth rate, and financial strength also earned AAMCO a spot on Entrepreneur’s “Best of the Best” list. The announcement of Chad joining the AAMCO family comes hot on the heels of our new franchise information website, which details a variety of information for candidates who are interested in learning about ownership opportunities with our top-rated transmission franchise. With nearly 700 centers across North America, AAMCO is actively seeking single- and multi-unit operators who are passionate about the brand and committed to providing the highest quality service. Interested candidates should have a minimum net worth of $250,000 and liquid assets of at least $65,000 per unit. Depending on the real estate site selected, franchisees can expect the total investment to be approximately $227,400-$333,000, with a $39,500 initial franchise fee. Reduced franchise fees are available for honorably discharged veterans. 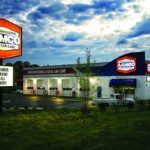 Is AAMCO a Good Franchise to Buy?